Medium (1/2" - 5/8") - 1pc. Medium (1/2" - 5/8") "Very Light" - 1pc. Large (5/8" - 3/4") - 1pc. Large (5/8" - 3/4") "Very Light" - 1pc. Smokey Quartz Merkaba Pendulums (Wrapped) - These Smokey Quartz Pendulums from India are faceted with 6 sides and have a nice polish. 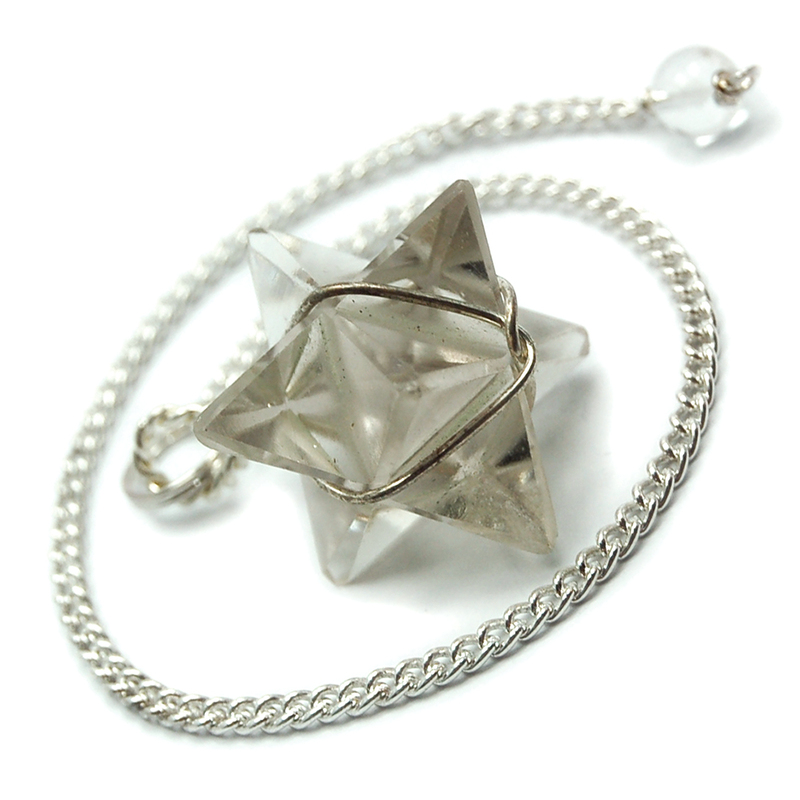 These crystal pendulums have a silver chain and are cut from quality Smokey Quartz crystal. Each of these Pendulums is unique, some longer and thinner, some shorter and fatter and some are a very light smokey color. Smokey quartz amplifies vibration, making it a good crystal to use for a Pendulum. 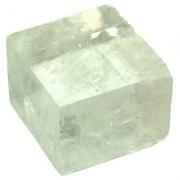 The multiple facets help guide the energy of this crystal during a scrying session. A very powerful metaphysical stone, Smokey Quartz emits a very high level of energy. 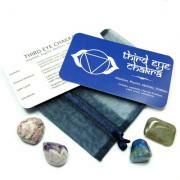 Smokey Quartz helps ground you with Earth energies and is good for working with the Root Chakra. 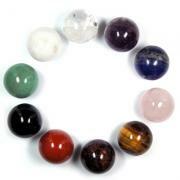 Use Smokey Quartz to absorb negative energy. 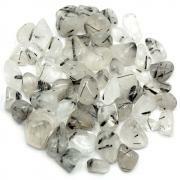 Smokey Quartz is also a great stone for pain relief and helps to prevent healing crises after a strong energy session. Smokey Quartz helps ground and integrate messages and/or spiritual energy received in higher chakras into the lower chakras, and helps anchor expanded consciousness into the physical body.